Rubber membrane roofing is a type of roofing system that is used on flat or nearly flat buildings including most outdoor walk-in coolers and freezers. While there are many types of materials used for membrane roofing, typically they are made from synthetic rubber, modified bitumen or a PVC material. The purpose of these types of roofing systems is to prevent leaks as well as move standing water off of the roof. 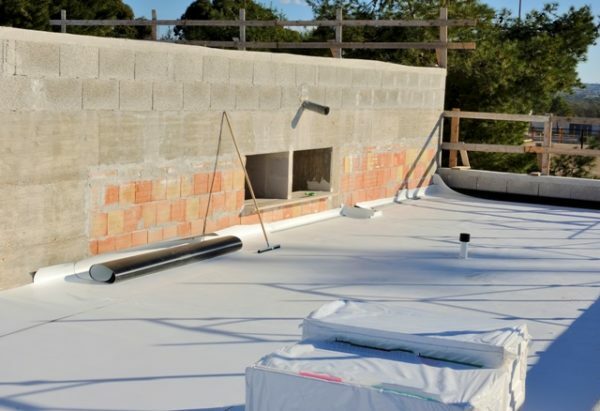 Although roof membranes can be effective for a period of time, there are a number of problems and maintenance issues that arise over the lifespan of the product. Many of these problems can result in damage to your walk-in unit, cause leaks, or reduce the life of the roof system. Polar King is one of the few walk-in manufacturers that does not require or install a rubber roof membrane or any type of cover on their outdoor walk-in coolers and freezers. Rubber roof membrane roofing systems are installed by using termination bars, adhesives, or a combination of the two. Installation is normally performed on-site by an independent contractor after the walk-in cooler or freezer has been delivered. Shoddy workmanship can lead to an improper seal, blow offs, tenting, or gaps between seams. Leaking water on the inside of a walk-in cooler or freezer can not only result in damage to the unit but also cost thousands of dollars in inventory damage. The purpose of a rubber roof membrane is to prevent water from entering or leaking into your walk-in cooler or freezer. Exposed seams, shrinkage, tears, punctures, and flashing failure can all lead to water entering the walk-in unit. 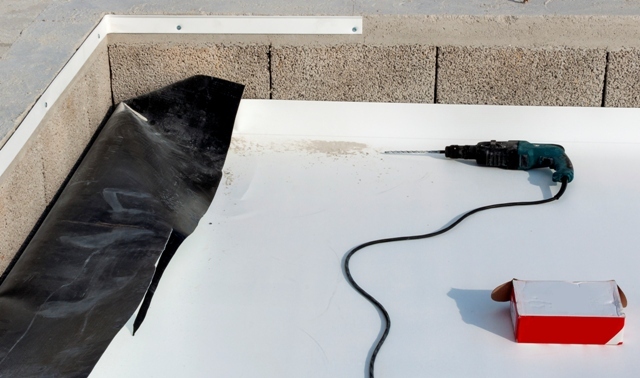 Rubber roof membranes require regular inspection and maintenance as well as repairs to prevent leaks. Regular inspections and roof maintenance are of critical importance to protecting the life and integrity of a rubber roof membrane roof system. Failure to have a qualified roof inspection and regular maintenance program can result in damage to the roof. Inspections and maintenance should be performed after any significant rain, wind, snow or other weather events. Polar King manufactures outdoor walk-in cooler and freezer units that feature a seamless fiberglass design. All walk-in units incorporate foam insulation completely encased in fiberglass, both inside and out. This construction method provides superior structural strength since it forms a one-piece unit. This also means that Polar King walk-in coolers and freezers do not require a rubber roof membrane. By eliminating the need for rubber roof membranes, Polar King units avoid the problems associated with this type of roofing systems. To find out more about Polar King seamless fiberglass outdoor walk-in coolers or walk-in freezers, contact us today!